Hey everyone! Here's the cover for the last chapter. Thank you all for coming on this adventure with me, this comic has been a big part of my life and I'm really excited to wrap it up in this exciting, tragic and bizarre finale. In the meantime, here's a tweet about the comic I'm doing with Oni Press called Space Battle Lunchtime. I've mentioned it on here before, and there's about 2 weeks left to preorder it in comic stores. Check the tweet out for order code info! Tell your friends! 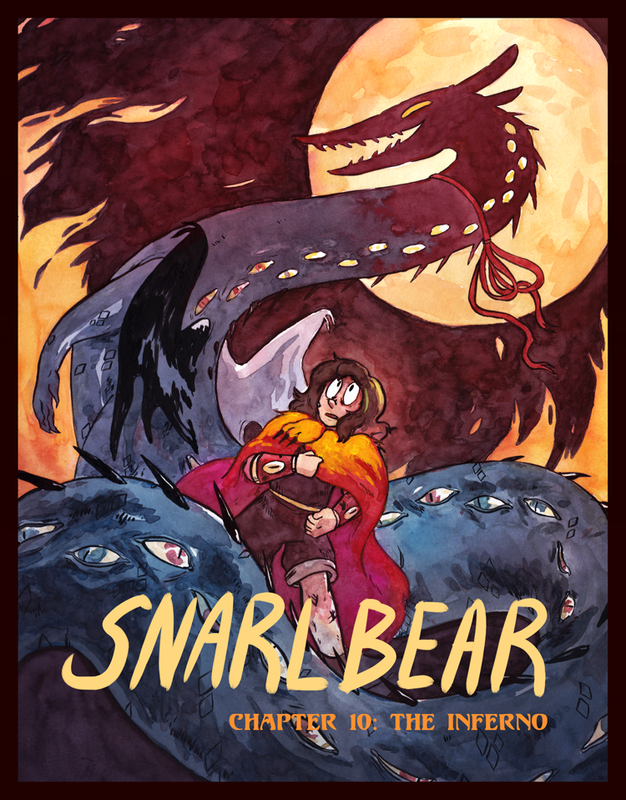 If you like Snarlbear you'll probably like SBL too- it's just like Snarlbear but cuter, in space, and less crying and blood.